The technique involves an algorithm for locating the koalas using drones that can detect heat signatures. Drones and infrared imaging are being utilised in an innovative method for detecting koala populations. As reported, the technique involves an algorithm for locating the koalas using drones that can detect heat signatures. Researchers from the Queensland University of Technology developed the technique that is more reliable and less invasive than traditional animal population monitoring techniques. With the use of ground surveys of tracked radio-collared koalas in Petrie, Queensland, the researchers were able to correlate the detection of koalas from the air. Infrared imaging detects the heat signals of the koala despite the canopy coverage caused by eucalyptus trees. To maximise the effectiveness of this technique, the researchers carried out their aerial sweeps of the area at early morning during colder months. This was when the difference between the body heat of the koalas and that of the background was likely to be greatest. Following a pattern similar to how a lawnmower moves, the drone covered an area by going up and down over a specific location. The data was then put through an algorithm designed to identify the heat signatures of the koalas compared to other animals in the area. The researchers were able to check on the accuracy of the system by confirming the location of the koalas detected by the drones with the location of the koalas determined by their GPS tags. An expert koala spotter can get an average of about 70% of koalas in a particular area. However, the University’s technique get around 86%. 16% is a substantial increase in accuracy that is needed to help protect a threatened species. Animal detection by drone offers a quicker and cheaper way than covering the same area with human spotters. The drones can cover in a couple of hours what would take a human all day to do. On the one hand, Dr Grant Hamilton, from the Universitys School of Earth, Environmental and Biological Sciences, who co-authored the study, stressed that having a high accuracy rate for the drone technique does not entail that other means of determining koala population are no longer necessary. There are places that people cannot reach and there are places that drones cannot go to. Each technique has its own downsides and the team is figuring out the best way to combine them. Thinking of these approaches as silver bullets will make people complacent, believing that the problem has been solved and that they can move on. Koalas and so many other species are facing possible extinction in large areas and there is no silver bullet. Following the success of the study, the researchers were looking to expand the area where they had studied koala populations. 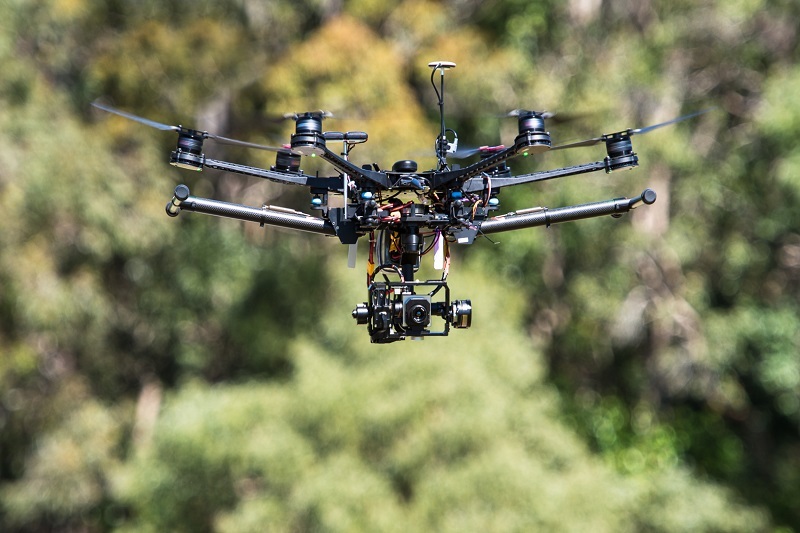 The drone system will be used in other parts of Brisbane, south-east Queensland and northern New South Wales. Moreover, the algorithm is being adapted sin order for the technology to detect invasive species such as deer, thereby expanding the target.